Leptospirosis is a bacterial infection which spreads through urine of infected pet or person. 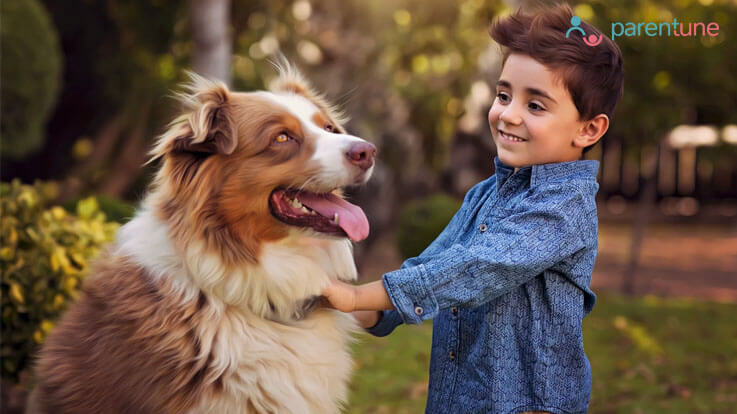 One of the common transmission-route for humans especially children is getting urine or blood from an infected animal on damaged skin or open wounds. Like other bacterial infections, it is at its acme during monsoon season as moisture fosters the growth of bacteria and virus led infections. Flooding and heavy downpours increases the risk of contracting the disease as people wade through contaminated water during this season. Mostly this infection is caused by dogs, cattle, horses and pigs. So, if you have a dog at your home try and be cautious and take special care for your smaller ones by keeping hygiene and measures to curb the spread of this bacterial infection. Toddlers and children are often exposed to this infection because of their play and sports with pets at home. The infection can also affect adult however as children have developing immunity hence they are more prone to this. In the monsoon season, it is also advised to avoid walking through flooded streets and even if the situation warrants and you or your child had to walk through a flooded area, then immediately on reaching home wash your feet with soap and water. The incubation time for leptospirosis in children is usually around two weeks however It could go upto anywhere from 48 hours to more than a month. Eye inflammation - Eye inflammation accompanied by reddening of the eyes and increased sensitivity to light. Yellowing of Sclera – Sclera is the white portion of the eye. Leptospirosis bacteria causes liver inflammation with poor liver function it could lead to yellowing of the sclera. Poor Liver Functions - leptospirosis causes liver inflammation. Symptoms includes yellowing of the skin and increased levels of bilirubin. Stomach ache – Gripping in the lower part of the stomach followed by stomach ache. Diarrhoea – With degraded liver function diarrhoea is caused. It could persist for 2-3 days and should be treated with immediate attention of the paediatrician. Vomiting – With the inability to digest food, vomiting occurs. Leptospira bacteria are sensitive to various level and hierarchy of antibiotics family, including the common ones such as Penicillin and Doxycycline. If the infection is diagnosed early and symptoms are mild, your paediatrician could treat the same with oral antibiotics only. In severe cases, intravenous treatment with antibiotics are given. Do not attempt to self-treat yourself or your children in case of the above mentioned symptoms and immediately see a paediatrician or Doctor for any treatment. Know why it can be dangerous.